One of my favorite quotes is “A smooth sea never made a skilled sailor.” I’m not sure who said it first…it may be an African proverb, or an English proverb, depending on where you look on Pinterest. Anyway, I like it because it can easily be translated into “ A totally broke horse, who never acts like a real horse as opposed to a motorcycle 1) doesn’t exist and 2) never made a skilled rider.” If you show horses, there will be a day, and maybe several days, when you will struggle with your horse. Which is totally fine. Judges know this, recognize this, and appreciate it for what it is, because I’ve yet to meet a judge who wasn’t also a horse(wo)man. What I am saying is that true horse(wo)men recognize that you will never know it all, that every horse is unique, and that there will always be challenges to work through. Those moments are what can make you a better rider, if you handle them well. Unfortunately, horses seem to be very good at waiting to share what they (or you) don’t know, until you are somewhere where everyone is watching. Note: While it may FEEL like everyone is watching, most people, except for your mom and possibly your trainer if you have one, are much more concerned about what to have for lunch. You may be certain that the entire world thinks you are a total clown, but if you are fairly schooling your horse, they probably aren’t actually thinking about you much at all, but rather, if they should have a hotdog or a salad. So, this is all well and good, but what should you do when your horse decides that rather than jog, he’d just as soon keep loping merrily down the rail (or worse)? An ounce of prevention is worth a pound of cure, so making sure that your horse has seen the arena and what is around it, and making sure they have been properly warmed up for their temperament will help a lot. Keeping an eye on the horses around you, and refraining from riding up too close to other horses will also help prevent a ruckus. Finally, and probably the thing you have the most control over, is deciding how you will react when things go wrong. The most important thing you can remember is that when your horse gets wound up, you need to calm down. Take a deep breath or two, quietly go to two hands if you need to, look at your surroundings, and calmly and safely get your horse out of the way of other riders. Despite the fact that you may be upset, overreacting will only make the situation worse, GUARANTEED. Once you get the horse safely out of the arena, do not go straight back to the barn. Ask the horse to work a bit, if you safely are able to, even if it’s doing a few drills that you know he can do, or just walking and trotting for a few minutes. The day you accept that sometimes you’ll have to help your horse work through problems in the show ring is the day you become a true horse(wo)man. Once the gate closes behind you, you’re the only one that can do it. You won’t necessarily get a blue ribbon (or any ribbon) on that day, in that class, but if you don’t give up, you will be one day closer to being a skilled sailor, with many more ribbons down the road. 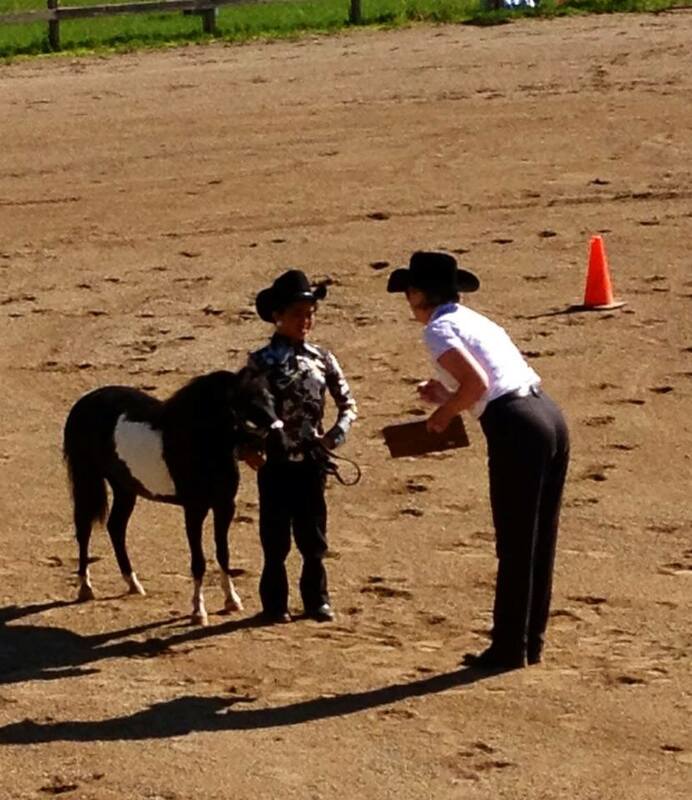 Come to think of it, that’s a good lesson outside of the show ring, too!